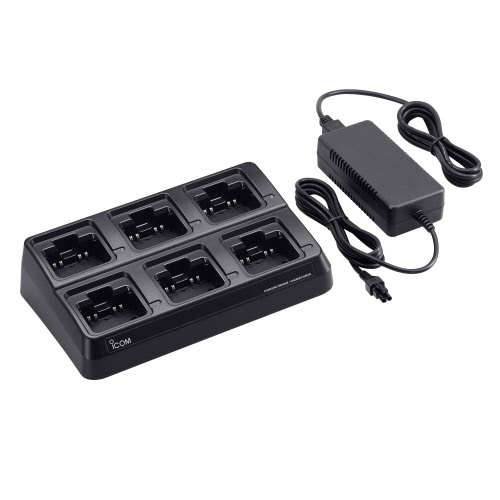 Six unit gang charger, 110V (Adapter cable included). Charges up to six BP-271 or BC-272 battery packs in 2.5 hours (approx. ).